Hi ladies, I have two units for sale, both units have never been worn. However, the Bob unit has been dyed a natural black that really didn't take. The top bundle of the bob has been cut to about 3 pieces the rest is intact. Virgin Brazilian Body wave purchased from Aliexpress. With ONE weft of Outre yaki hair #1 for blending. Can easily be removed. A little under 3 bundles used (originally 10", 12", 12"). The longest length(right side) is 11" and the longest length on the left is 9". Has a permanent left side part(hair falls to the right). The hair is very soft with lots of body and movement. I didn't have any tangling or matting during the cutting or washing process. The shedding is very minimal( about 5-7 strands while washing the entire unit). 1 pack of 12" and 1 pack of 14"( All of the hair was used). I trimmed and layer the hair. 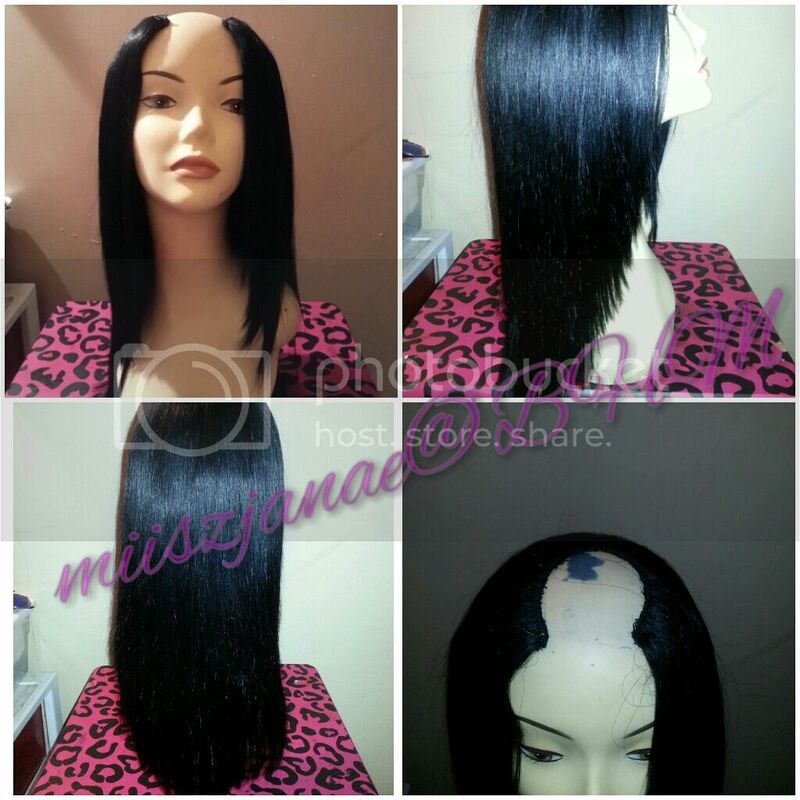 The finishing length is 13", the shortest layer in the front is 10". The hair is actually very soft, I didn't get any tangling during the wash or shedding from the Saga however the outre did shed a bit. Price: $45 + 6 shipping.